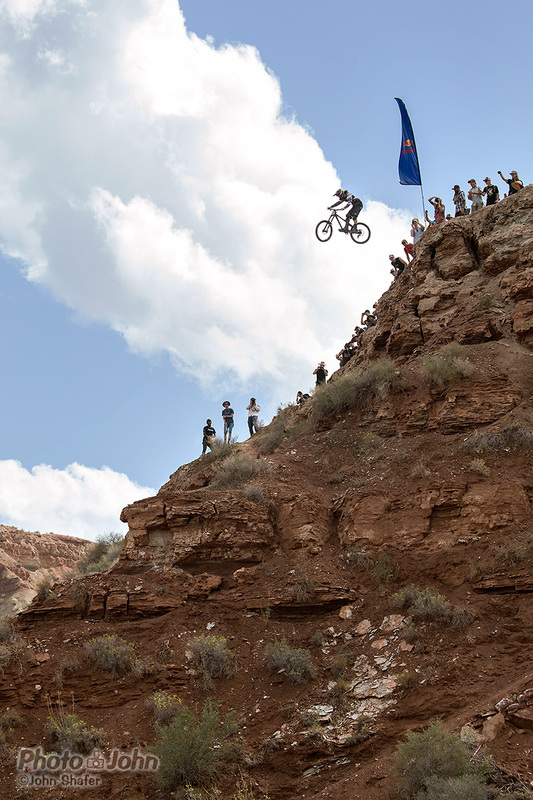 Diamondback pro Carson Storch, made a huge impression in his first Red Bull Rampage. 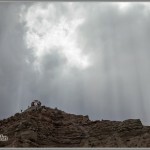 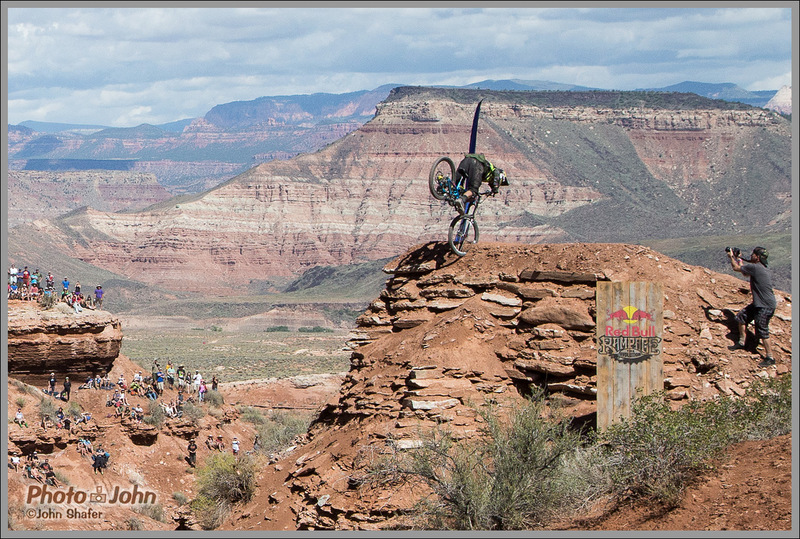 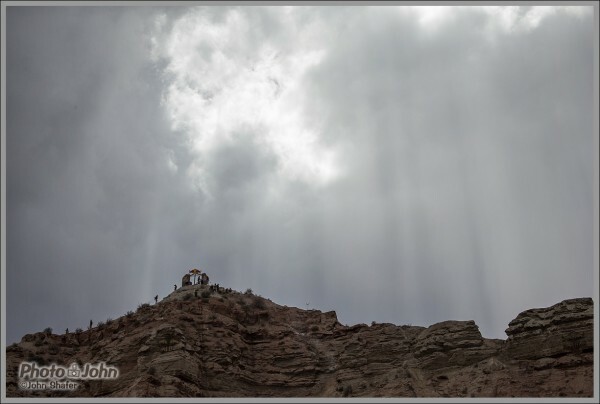 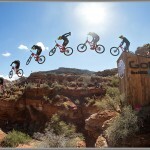 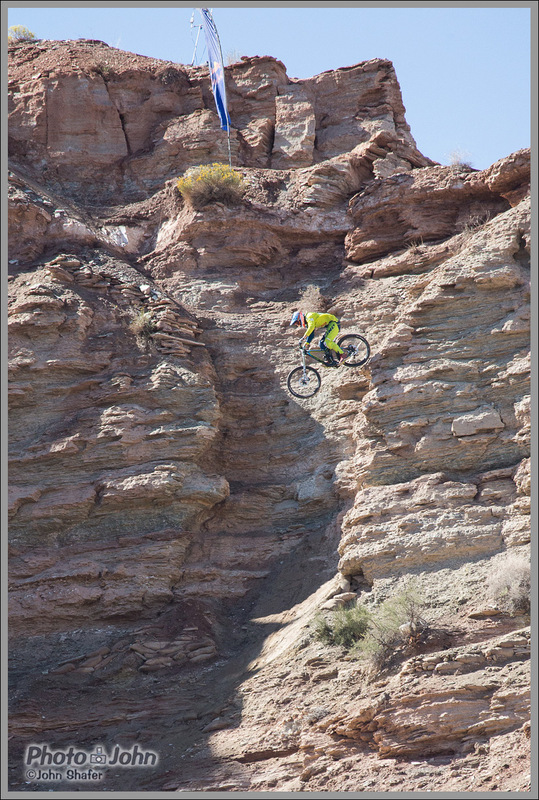 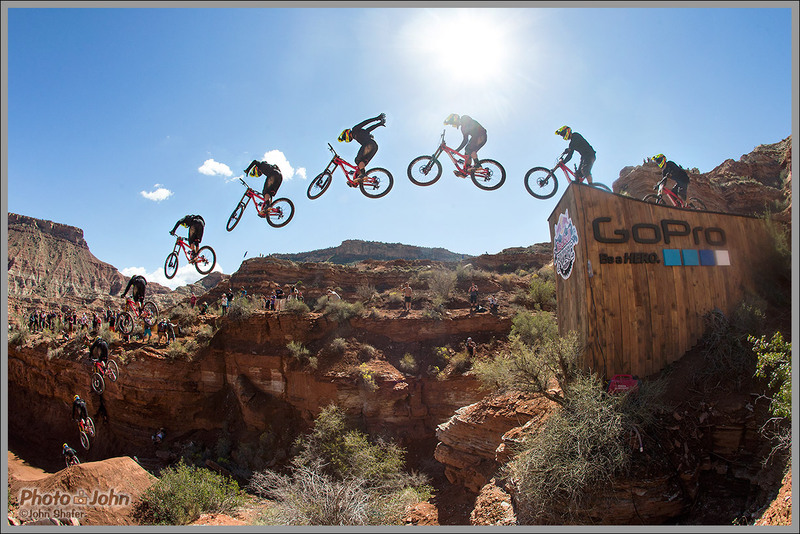 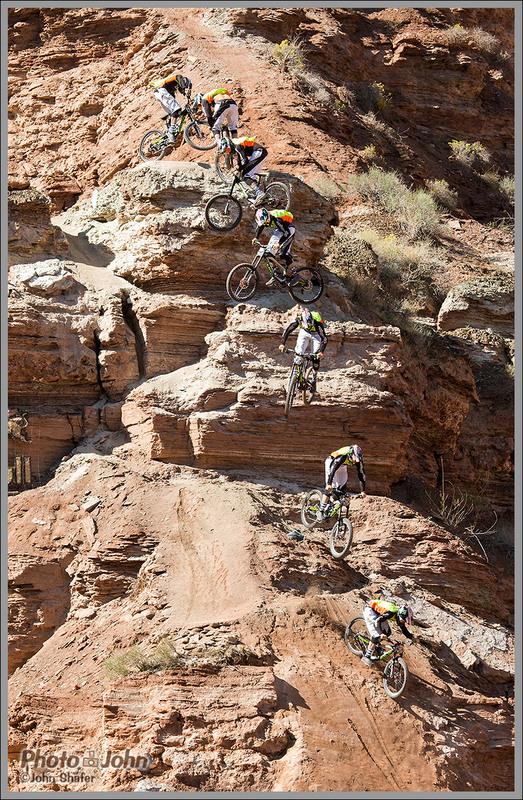 Red Bull Rampage is the most prestigious and challenging freeride mountain bike competition on the planet. 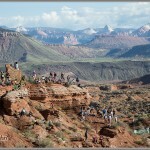 It takes place in the fall, near the tiny Southern Utah town of Virgin, just a few miles from Zion National Park. 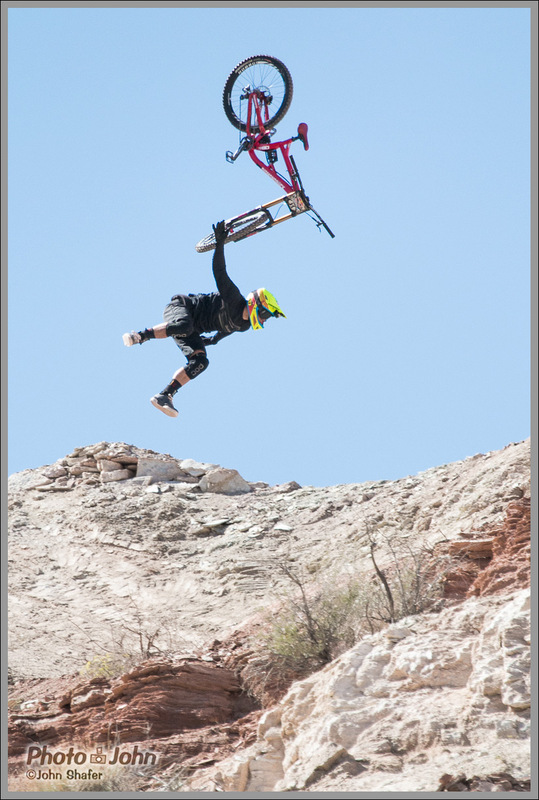 It’s so “extreme” it borders on the absurd. 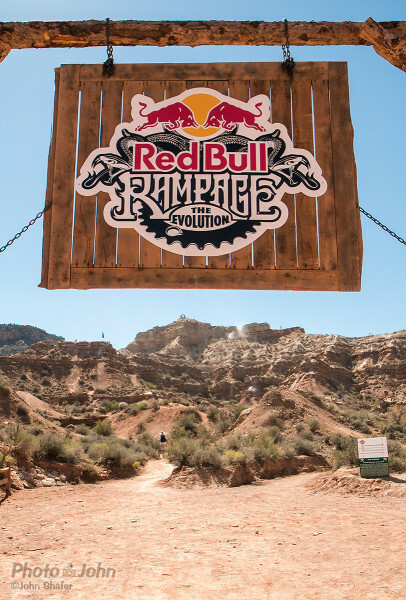 The red desert backdrop looks like something from a movie and the actual Rampage site – a steep, chute-ridden butte – is ridiculous. 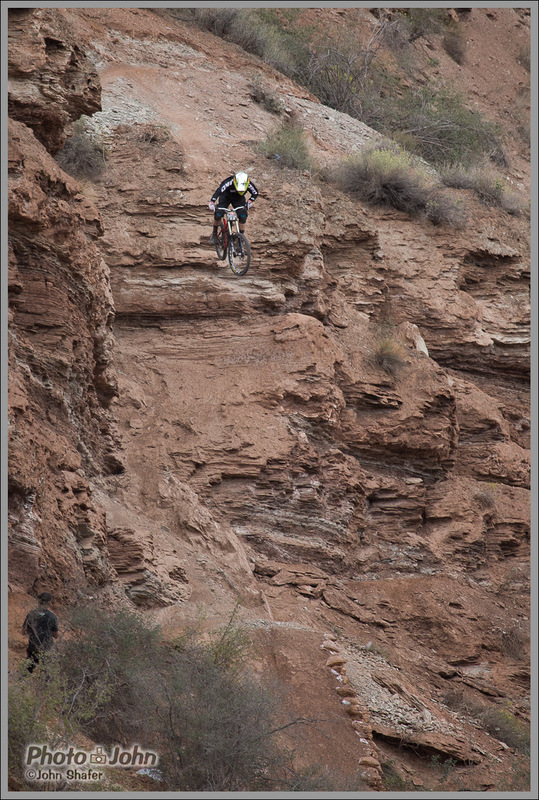 The terrain looks more like a free-skiing venue (except for the lack of snow, of course) than something you’d ride a bike on. 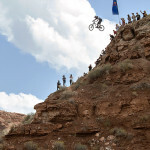 And the competitors – the best freeride mountain bikers on the planet – do things the uniformed will think are insane. Seriously – it’s surreal what these guys do on bicycles. 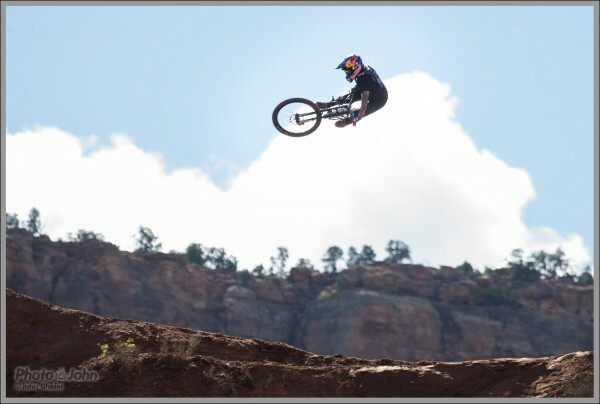 The first time you see someone drop in on a steep line or hit one of the huge jumps, you almost can’t believe what you’re seeing. 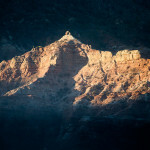 Morning light on the Southern Utah Red Bull Rampage site. 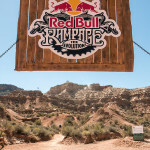 The finish line sign below the butte where the Red Bull Rampage is held. 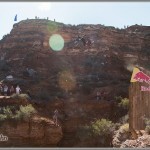 Louis Reboul backflipped the 70-foot+ canyon gap and came up short. 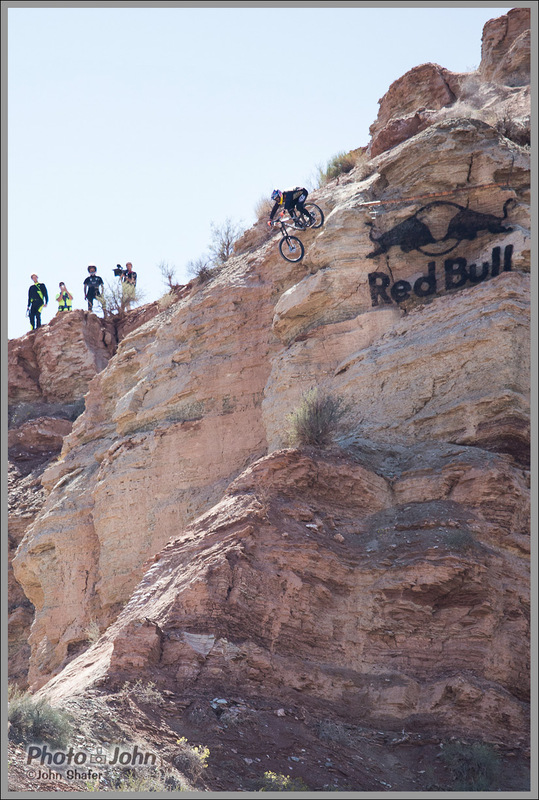 See the photo of his landing, below. 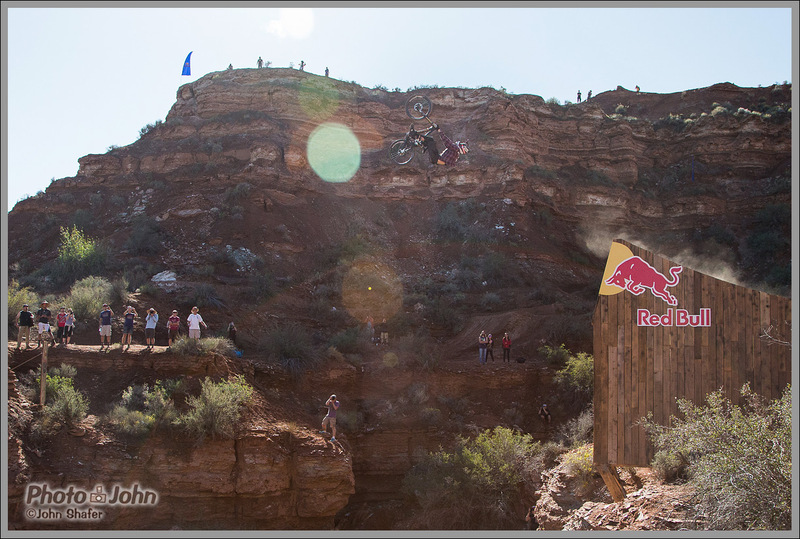 I’ve attended and photographed every Red Bull Rampage but two. 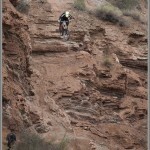 I missed the first year (2001) because it was brand new and I hadn’t heard about it, yet. 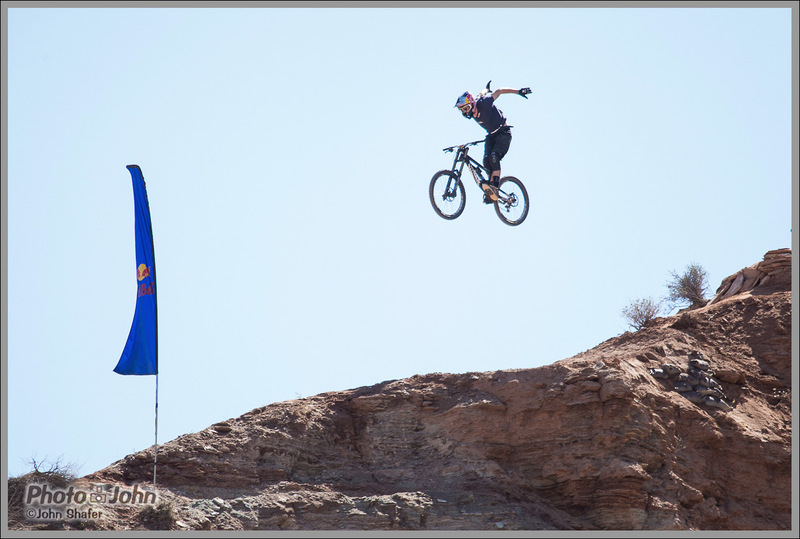 I missed it again in 2013 because of an injury that made it impossible for me to go. But Rampage is an action photographer’s dream event. 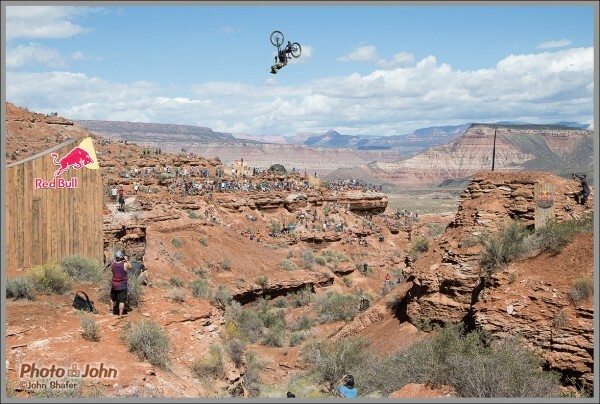 So even though I was still a little gimpy, I made it back in 2014. 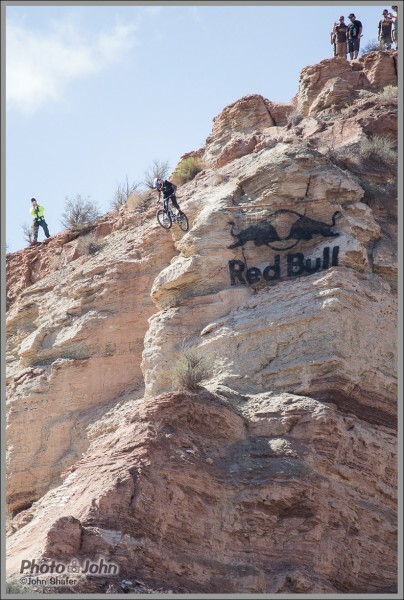 And boy I’m glad I did. 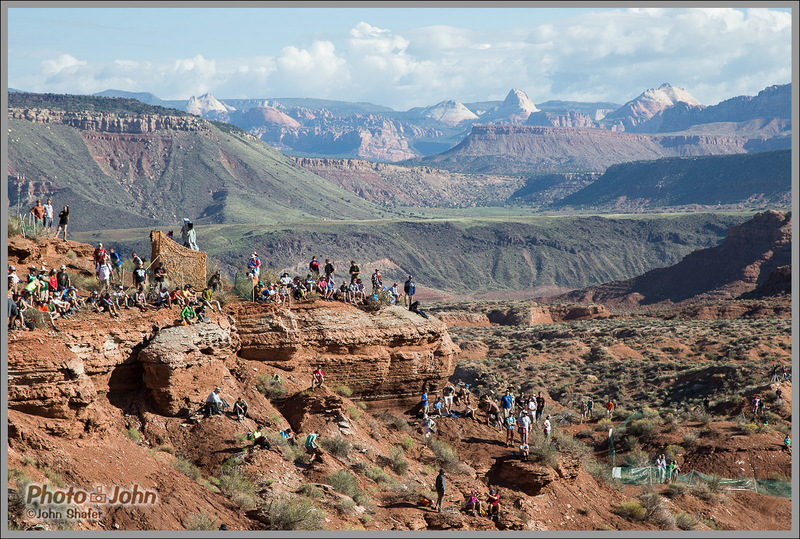 They moved the venue to the opposite side of the butte and the lines were bigger, steeper and more dramatic than anything before. 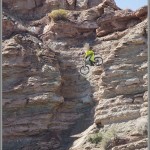 The potential consequences were also a lot higher. 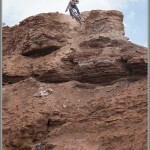 There were a couple of scary moments but luckily, there were no serious injuries. 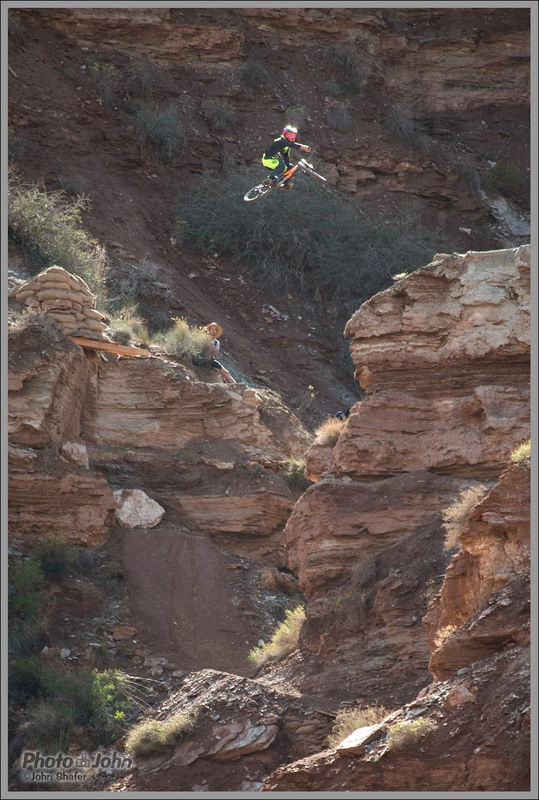 Louis Reboul, coming up short on his canyon gap backflip. This was one of the scariest crashes. 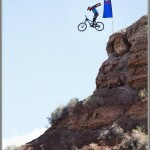 Luckily, he wasn’t hurt badly. Graham Agassiz was the top qualifier in the 2014 Rampage, do in part to this huge drop. 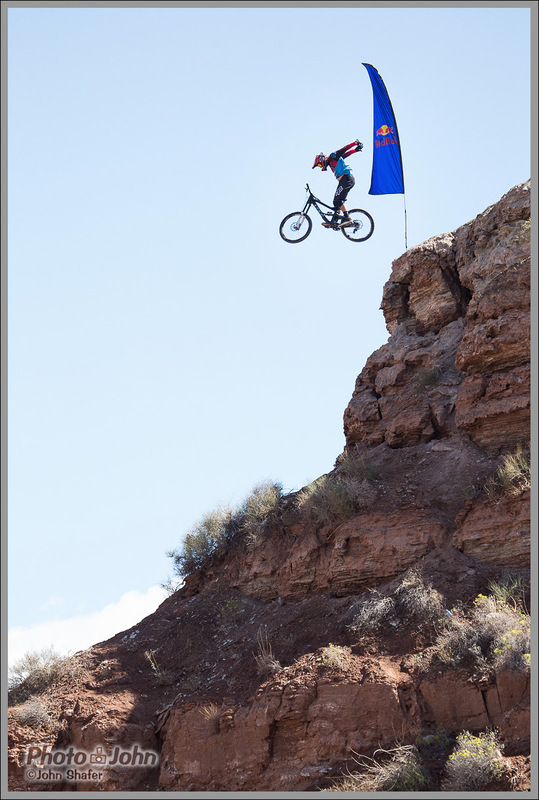 Unfortunately, he was unable to compete in the finals due to an injury sustained in practice. Although he had to drop out after a crash , this elevator shaft drop by Mike Montgomery was one of the most aesthetic lines of the competition. 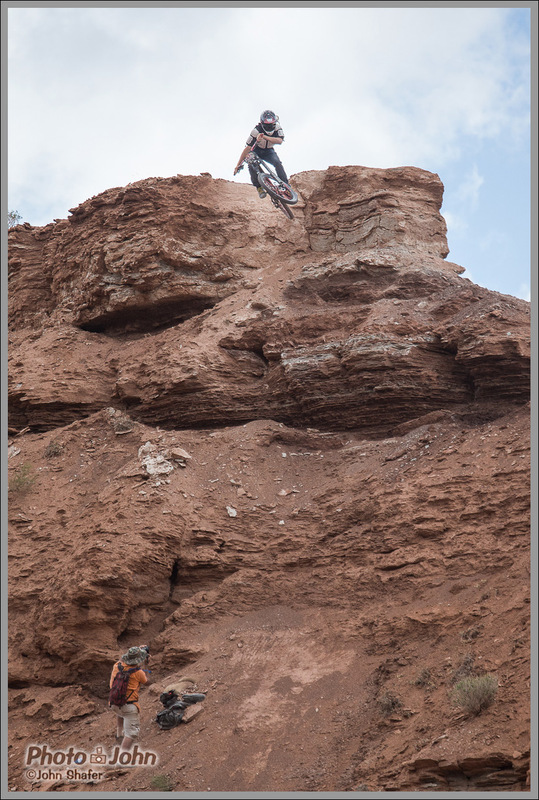 In the end, Spanish rider Andreu Lacondeguy won decisively by hanging it all out and dominating on huge lines. 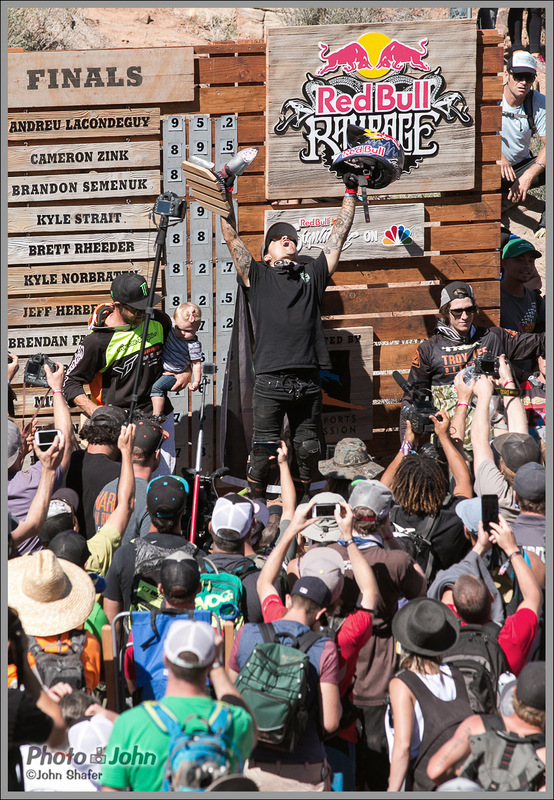 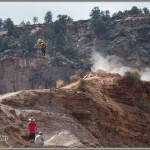 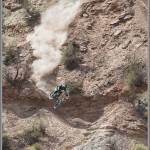 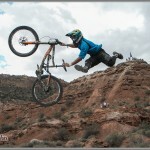 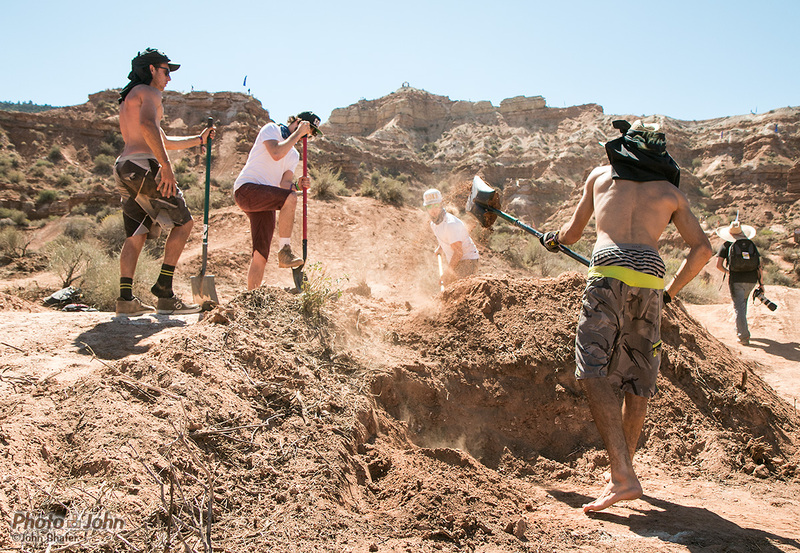 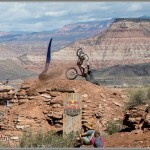 Well – no Red Bull Rampage win is ever decisive. 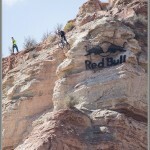 There’s always disagreement among the fans. 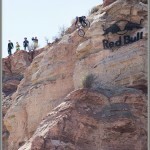 But I thought Lacondeguy killed it. Cam Zink took second place along with the best trick award for a huge and sketchy-looking 360 drop. 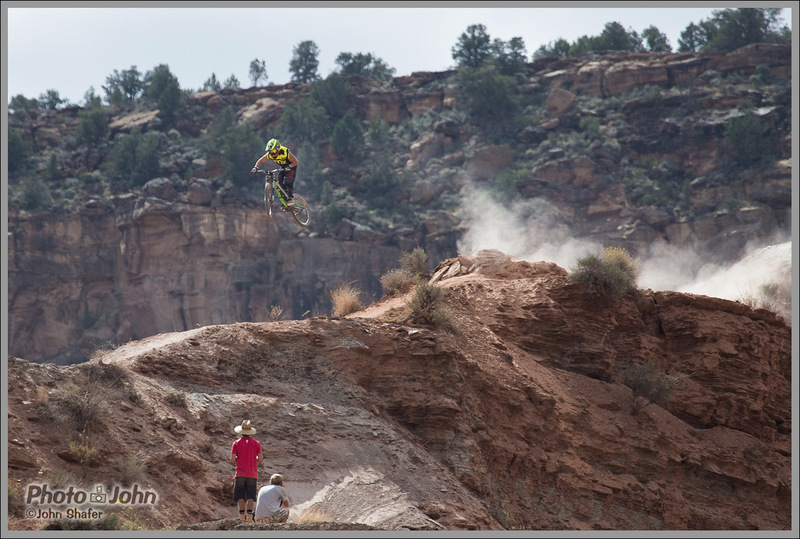 Brandon Semenuk finished in third. 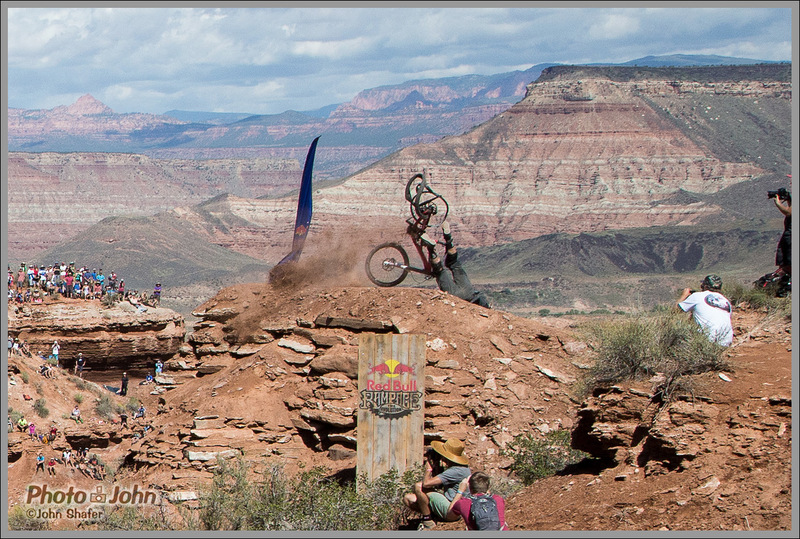 Andreu Lacondeguy dominated the 2014 Red Bull Rampage competition by stomping huge moves like this monster whip. 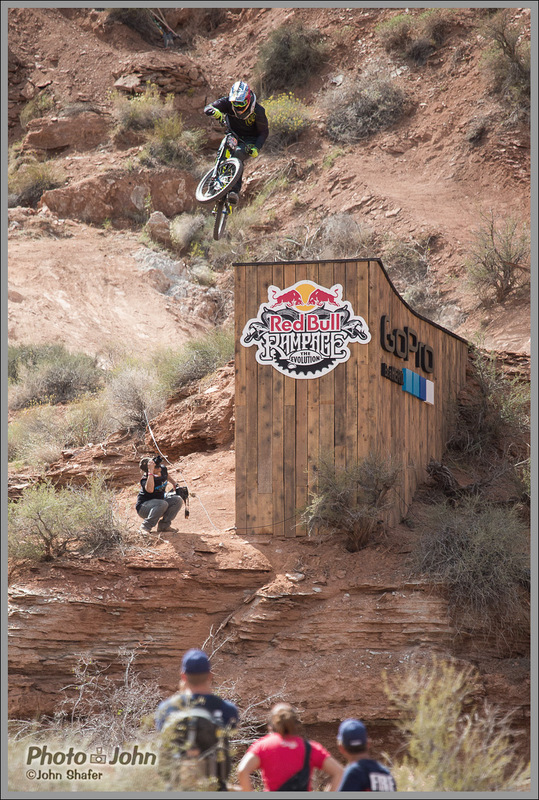 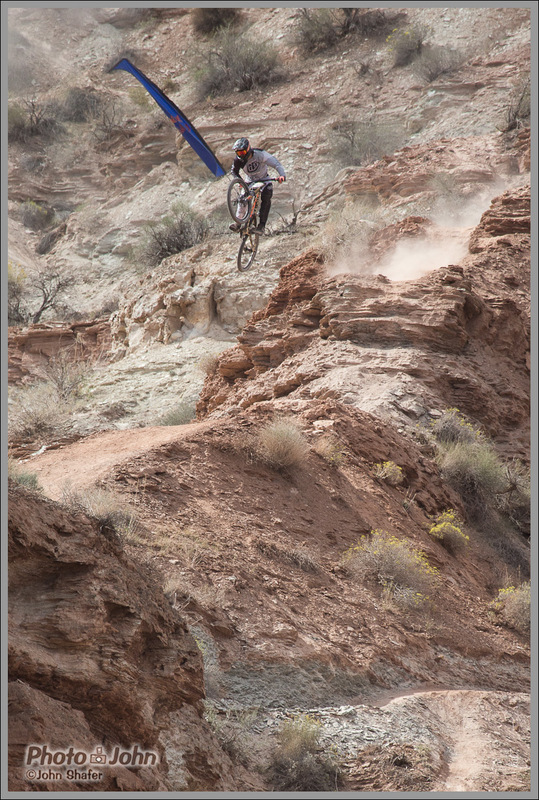 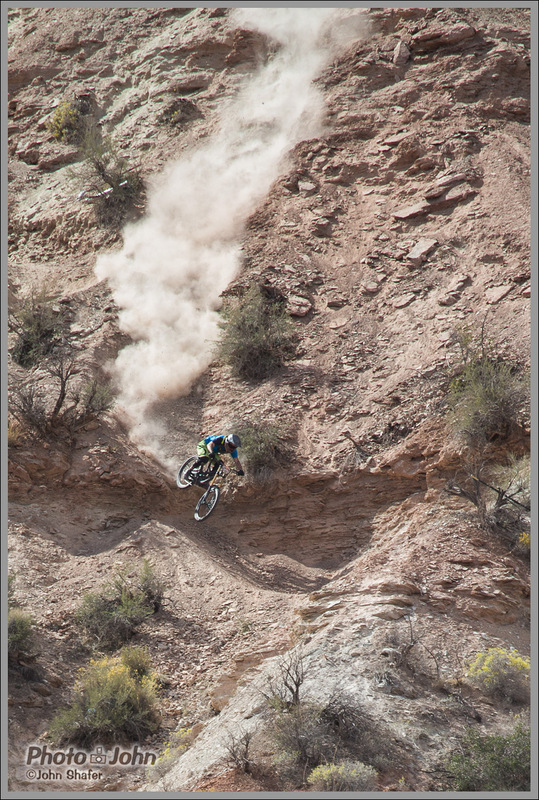 Andreu Lacondeguy manhandling a huge drop on his winning run in the 2014 Red Bull Rampage. 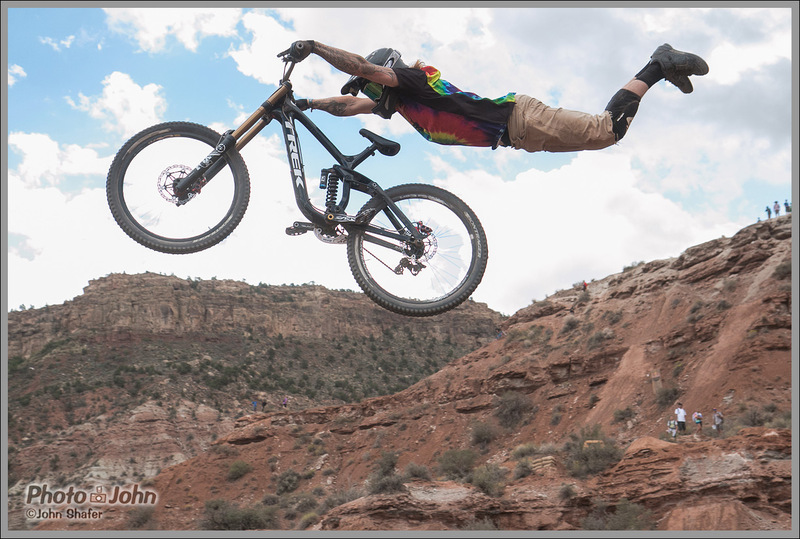 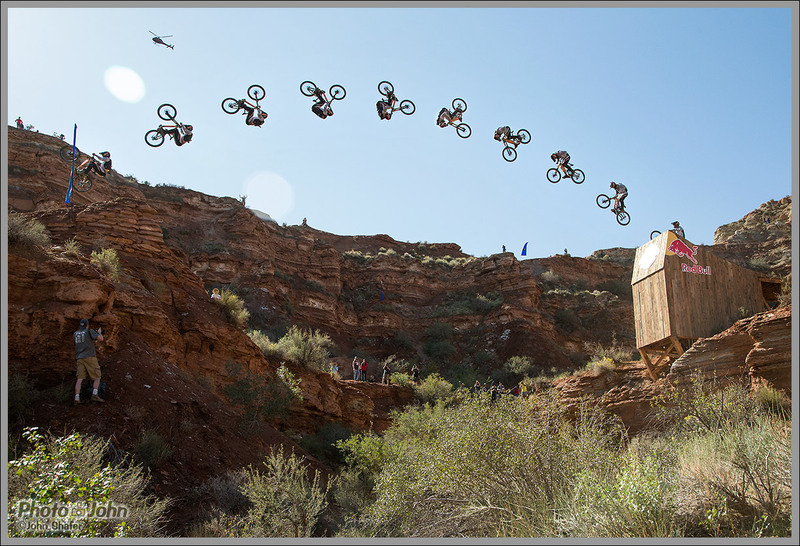 Cam Zink one the best trick award at the 2014 Red Bull Rampage with this huge 360-degree spinning drop. 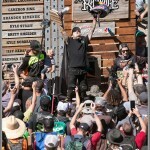 A very happy Andreu Lacondeguy on top of the podium, followed by Cam Zink and Brandon Semenuk. 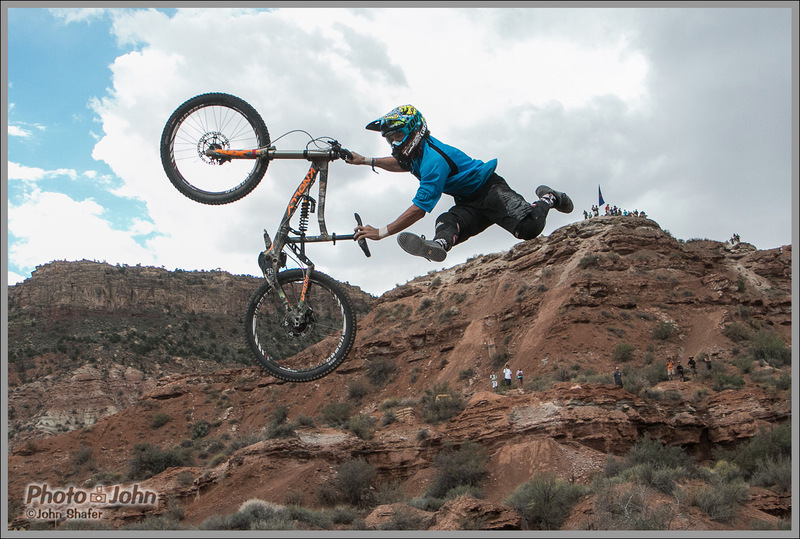 Please share this gallery if you like the photos – especially if you know any of the competitors or marketing managers that might be interested in photos. If you like what you see and would like me to cover an event for your company or publication, please contact me and let’s make it happen! 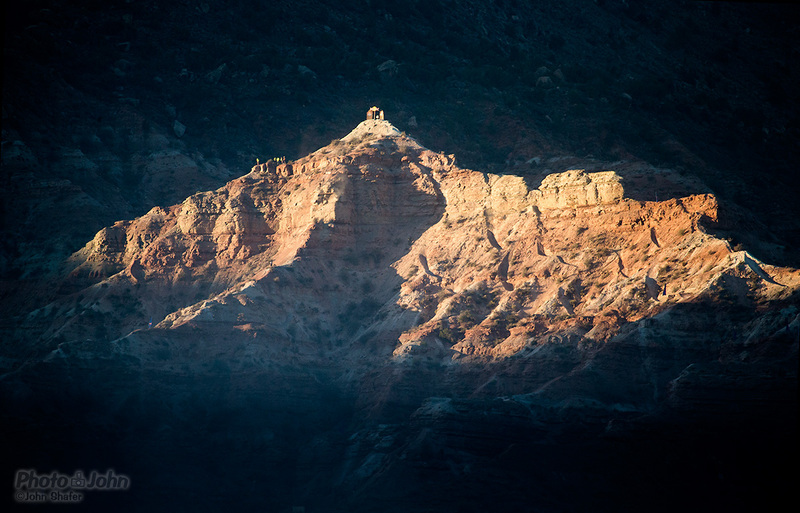 Jesus rays shine down on the Rampage venue. 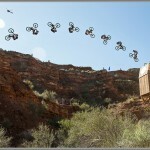 Important: If you add a link to your comment it will not be published.